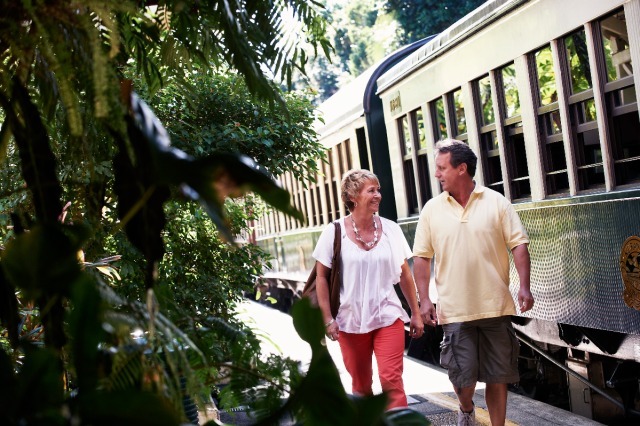 In summary: This tour is ideal for self-drivers who would like to do the Gold Class Train in the afternoon and for people who would like a later morning start. 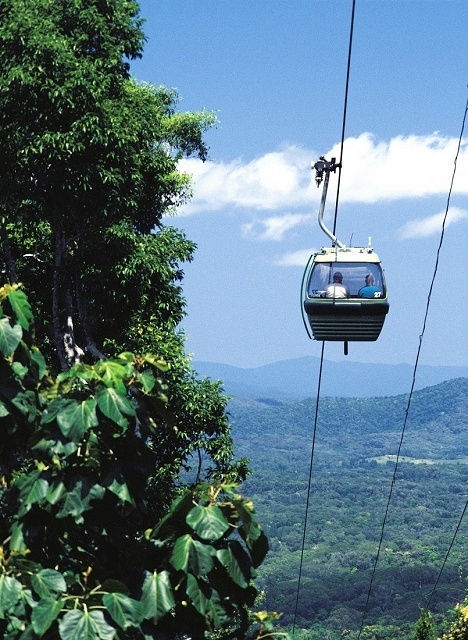 The departure time in the morning is flexible as the Skyrail is a Gondola system with continuous departures throughout the day. 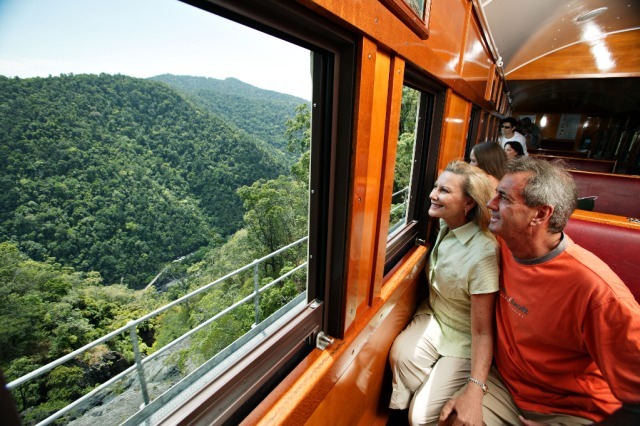 The flexibility offered to self-drivers with this tour is the start time in the morning. 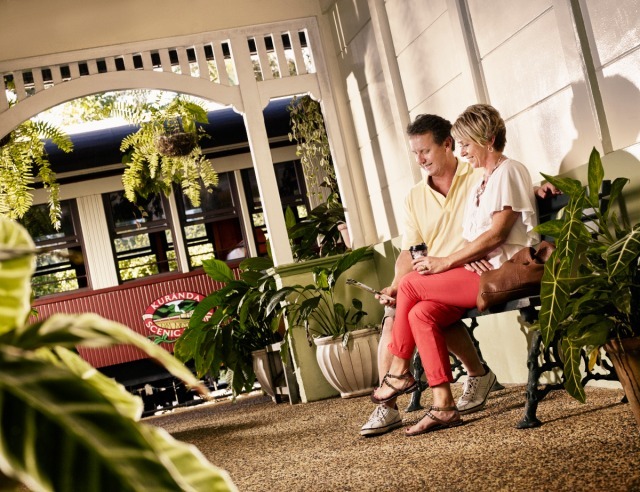 The Gold Class carriage is only on the 3.30pm train. 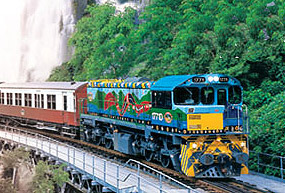 There is also a train departure at 2pm without Gold Class. 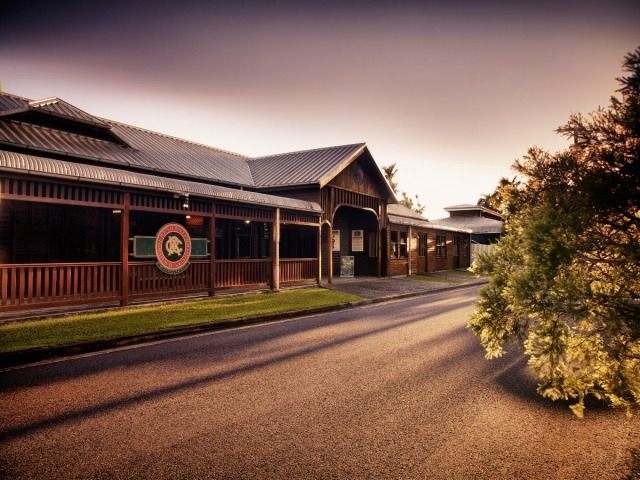 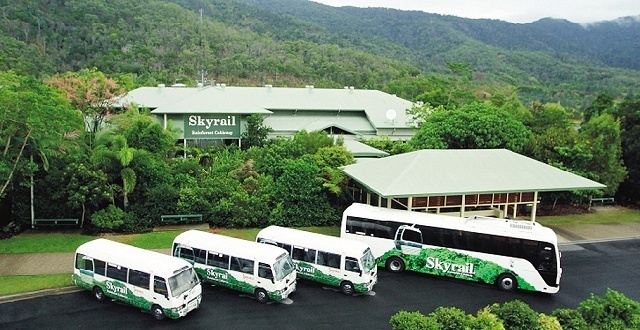 When you reach the end of your Kuranda Scenic Rail journey at Freshwater Station you will be met by a coach that will transfer you to the Skyrail Station at Smithfield to retrieve your car. 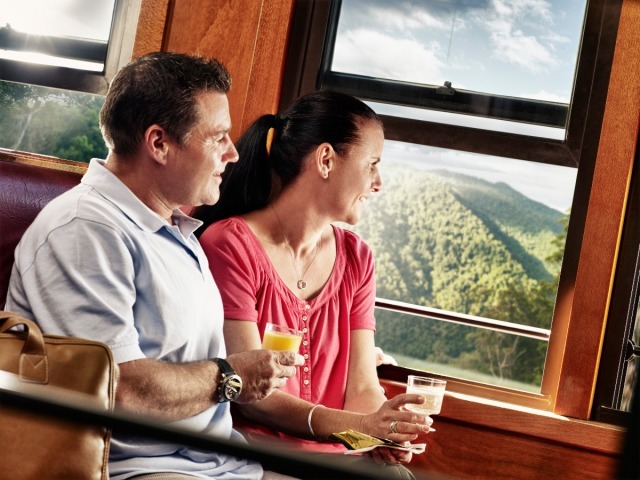 Gold Class: If you plan to do the Gold Class upgrade you will be served an alcoholic beverage if you wish. 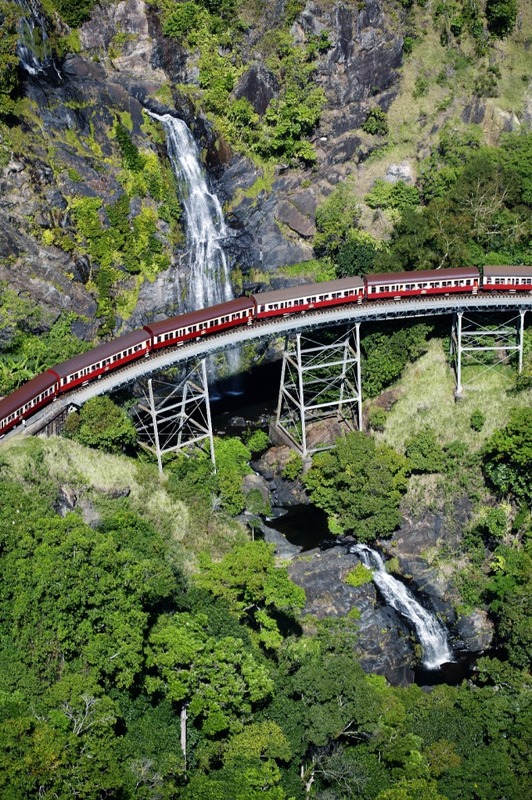 Some people prefer to do the Skyrail in the morning followed by the Gold Class Train in the afternoon and enjoy an alcoholic beverage in the afternoon. 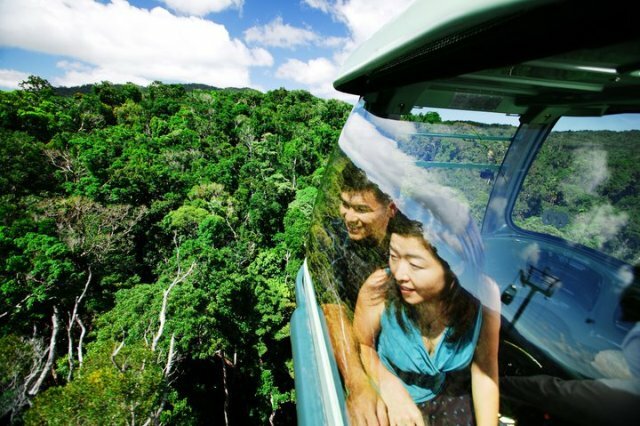 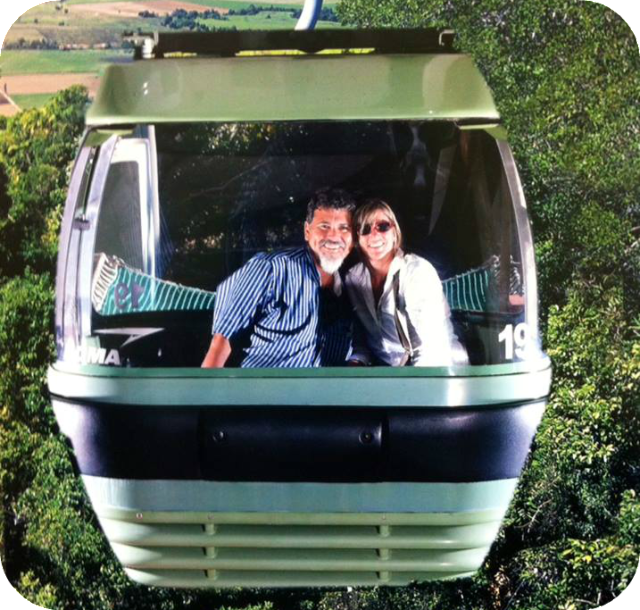 Skyrail Rainforest Cableway: Skyrail 1.5hr journey including free time at each stop as you make your way to Kuranda. 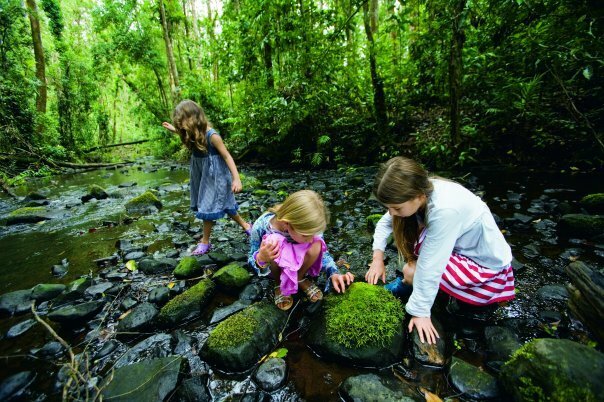 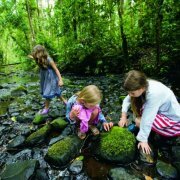 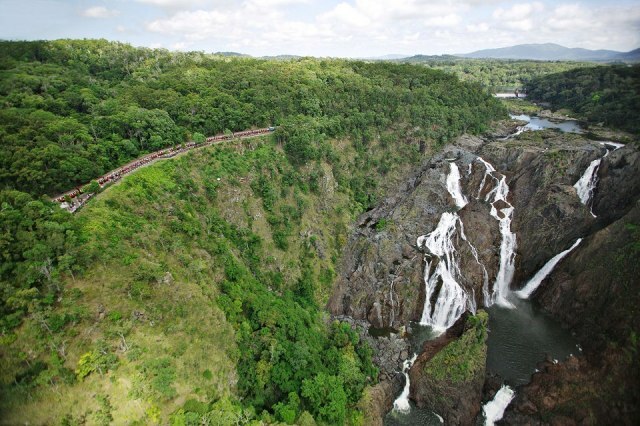 There are two stops en-route to explore Barron Falls and Red Peak Rainforest Boardwalks. 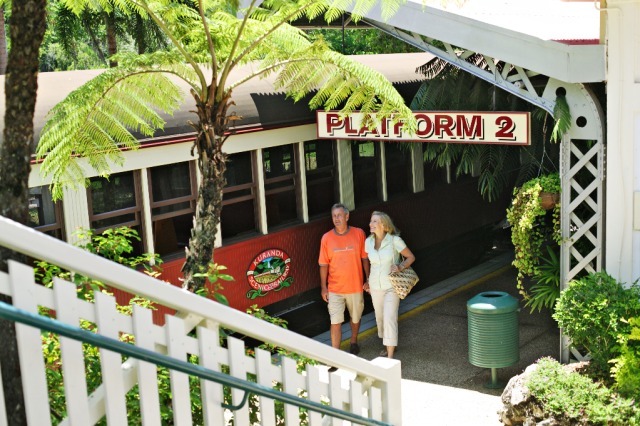 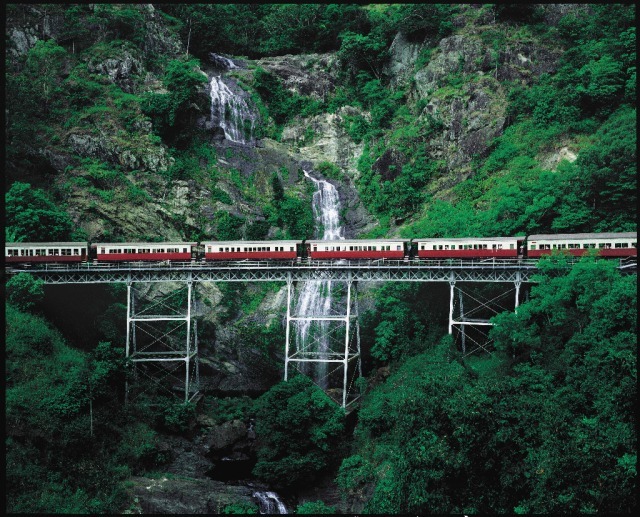 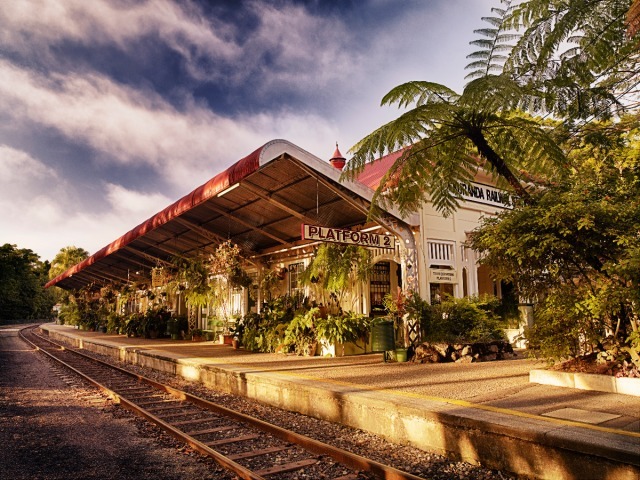 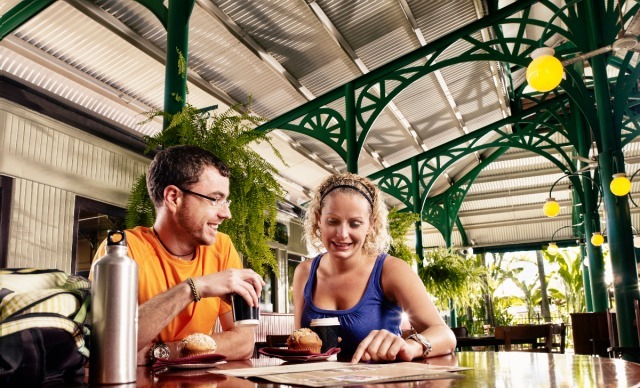 Kuranda Scenic Rail: At Kuranda Railway Station, board the famous Kuranda Scenic Rail for your 1.5hr journey to Freshwater Station.